King Edison Grande Ghost brings two contradictory worlds together - oversized and miniature - playing tricks with scale evokes the Alice's Adventures in Wonderland tale. The 'King Edison Grande Ghost' pendant lamp combines the pure simplicity of an Edison light bulb with the romance and glamour of a King chandelier. It consists of a miniature brass chandelier inside a hand-blown black glass shade. 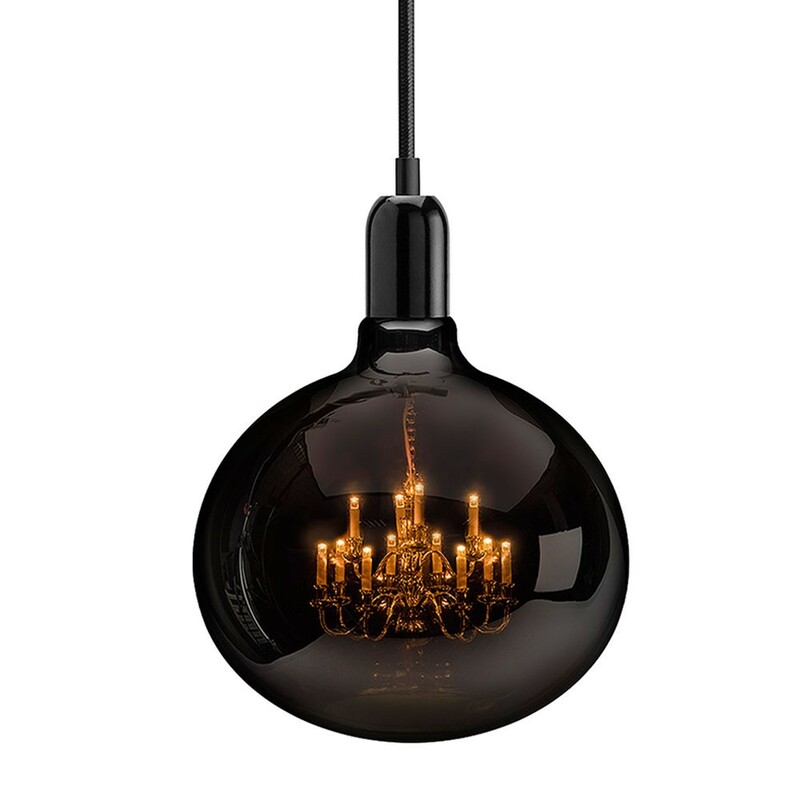 In the new larger size the King Edison makes a real design statement giving the chandelier glimpsed inside a ghostly feel.